Douglas V. Armstrong, a Syracuse University professor in the Maxwell School for Citizenship and Public Affairs and The College of Arts and Sciences, has been tapped to receive the latter’s William Wasserstrom Prize for the Teaching of Graduate Students. He will be recognized at the Graduate School Doctoral Hooding Ceremony and Reception on Friday, May 9, at 5 p.m. in Goldstein Auditorium of the Hildegarde and J. Myer Schine Student Center. 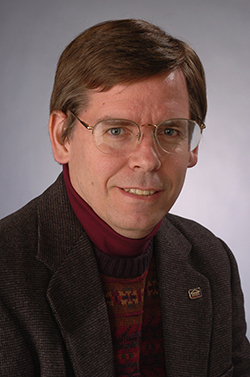 A specialist in North American and Caribbean archaeology, Armstrong is the Maxwell Professor of Teaching Excellence and a Laura J. and L. Douglas Meredith Professor for Teaching Excellence. He was nominated for the Wasserstrom Prize by John Burdick, professor and chair of anthropology, who won it three years ago. Armstrong specializes in the historical archaeology of the Caribbean, American Northeast, California and Africa. (This type of archaeology utilizes written records and oral traditions to help scientists better understand people, places and things.) As such, his work encompasses multiple areas, including public policy, ethnohistory, culture contact and change, colonialism and geographic information systems, to name a few. This cross-cutting approach has led to faculty appointments in not only anthropology, but also public affairs, international relations, African American studies and Native American studies. Armstrong with Christine Carter and her husband, the Rev. 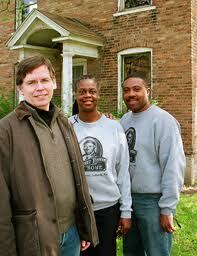 Paul Carter, both directors and caretakers of the Tubman Home in Auburn, N.Y. Many of Armstrong’s students have gone on to successful, yet varied, careers. Such a sampling includes Sharon Dunn G’08, a cultural resource specialist and archaeologist with the U.S. Department of Agriculture; Heather Gibson G’07, an archaeologist for AECOM (a global provider of technical and management support services); Mark Hauser G’01, assistant professor of archaeology at Northwestern University; and Matthew Reeves G’97, director of archaeology at James Madison’s Montpelier property. Prior to Syracuse University, Armstrong served as a Rockefeller Post-Doctoral Fellow at The Johns Hopkins University and held various curatorial and research positions at UCLA. He is the author of eight books and dozens of scholarly articles, chapters and reports. Armstrong maintains a continuous flow of externally funded research, as evidenced by his current studies of laborers at early plantations in Barbados, of urban life and colonialism during the Danish period and of Kongen’s Quarter on St. Thomas. He is also wrapping up a long-term archaeological study of the Harriet Tubman Home in Auburn, N.Y. The Wasserstrom Prize is named for the great English professor at Syracuse University who died in 1985. Since then, it has been awarded every year to an Arts and Sciences professor who embodies Wasserstrom’s aesthetic as a graduate seminar leader, research and dissertation director and advisor and role model.